It is said to never smoke cigarettes purchased once you try home grown tobacco. Indeed, the most complex work cut tobacco. Hand cutting is significantly delayed since the tobacco must be thin sliced. It is easier to do this with Processor for making noodles - cut into approximately 1 mm. So cut tobacco can be immediately used or stored in plastic bags and taste better to remain in the bag for some time. Many smokers of cigarettes you currently developing itself, because it is cheaper. Tobacco is one of the oldest stimulants that are grown. South American Indians since prehistoric grown this plant of the family Solanaceae, which grows only in the sunniest areas of the world. In Europe in 1492, Christopher Columbus brought tobacco. In 1560, the plant has rapidly spread throughout Europe and is today one of the most common stimulant in the world. 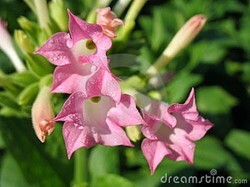 Tobacco contains around 70 species in the genusNicotiana They apply mainly two types of tobacco: plain and rustic tobacco . Types differ mainly in size sheets as plain tobacco leaves are much larger. Farmers Tobacco grows throughout the earth in the temperate zone and originates from Mexico. Simple but is sensitive to climatic conditions and will only grow in subtropical climates.The concentration of this in the leaves grow before flowering and during flowering declining rapidly. This decline prevented so that the plant tear flowers and thereby keep the concentration of nicotine in the leaves.Mention is to be noted that nicotine is a very strong poison and has 0.05 g of nicotine in humans may lead to death. Today we are fighting against stopping smoking, which is very spread among the population.Tobacco is causing serious health implications. In March, the seed is sown in a warm place. Tobacco has a very tiny seeds, so they just sprinkle it on the ground and they are not wrapped with soil. Watered with a fine sprayer. Seeds germinate two to three weeks. They need a lot of light and heat to 25 ° C. Plants may then be transplanted to develop a stronger root system and when no more menacing threat of frost are transplanted to a permanent place. Soil should be well fertilized and rich in nitrogen. The distance between the seedlings should be at least half a meter. The plant grows up and leaves may begin to tear and from bottom to top. Nanizajo to a string and hung in a dry place where change color from green to yellow and then brown. Tobacco is suitable for use after only a few months, but it is quite sharp. Heat dried leaves are very fragile and crushed into a powder in cold weather - in the fall, again become soft and greasy. It must be ensured that the leaves are not too dry and not humid. Many smokers of cigarettes you currently developing itself, because it is cheaper.Comparisons have shown that in twenty square meters can produce a stock of tobacco for one year, smoking one pack of cigarettes a day.